I use a number of computer programs and have gotten use to using Ctrl+Z to undo previous actions. 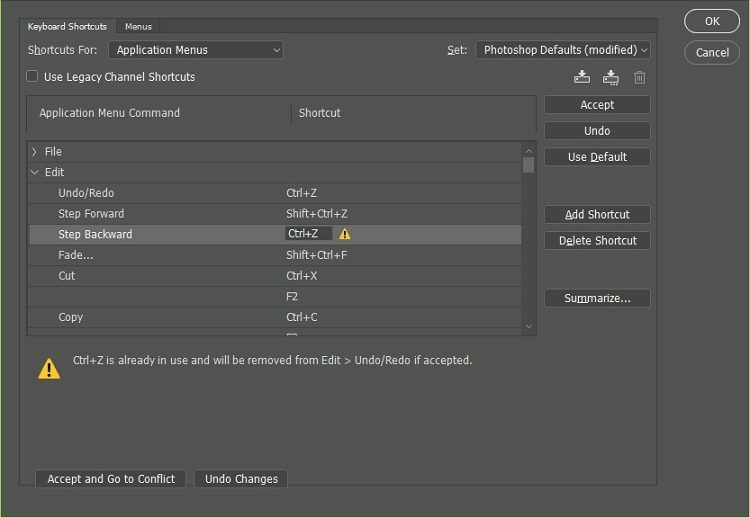 The issue I have found is that Photoshop is set to undo only the most recent action when you hit Ctrl+Z. 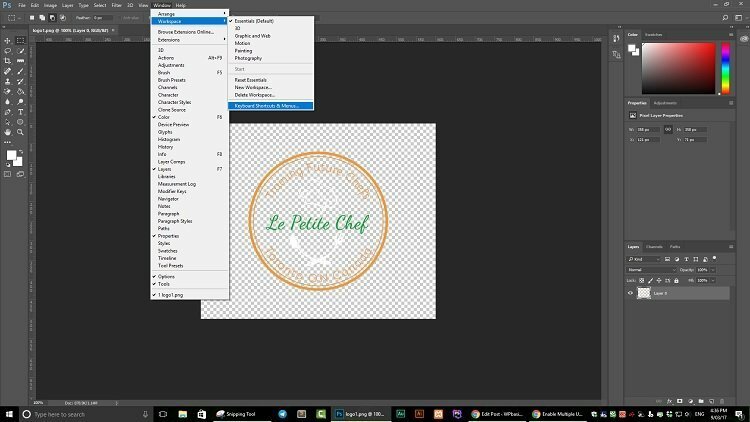 In order to perform multiple undos in Photoshop, you have to use Ctrl+Alt+Z. This may seem like a small thing, but it becomes frustrating when you are use to using just Crtl+Z. 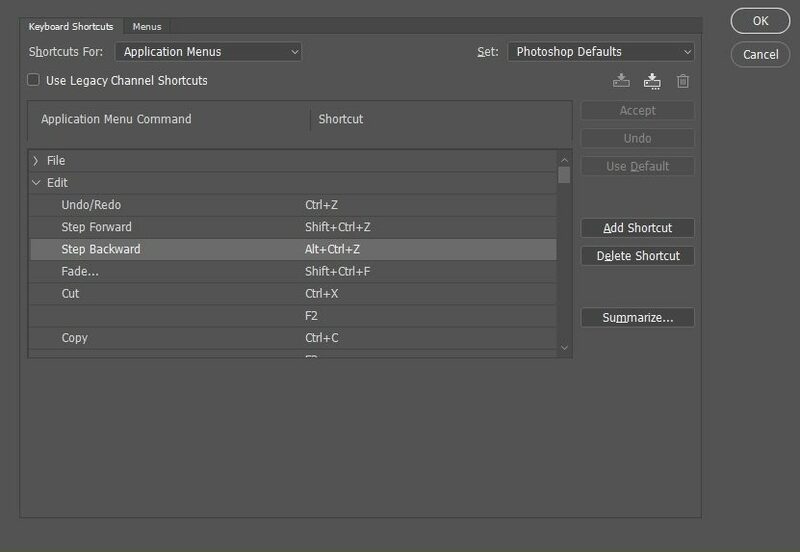 Fortunately, Photoshop allows us to customize our keyboard shortcuts. 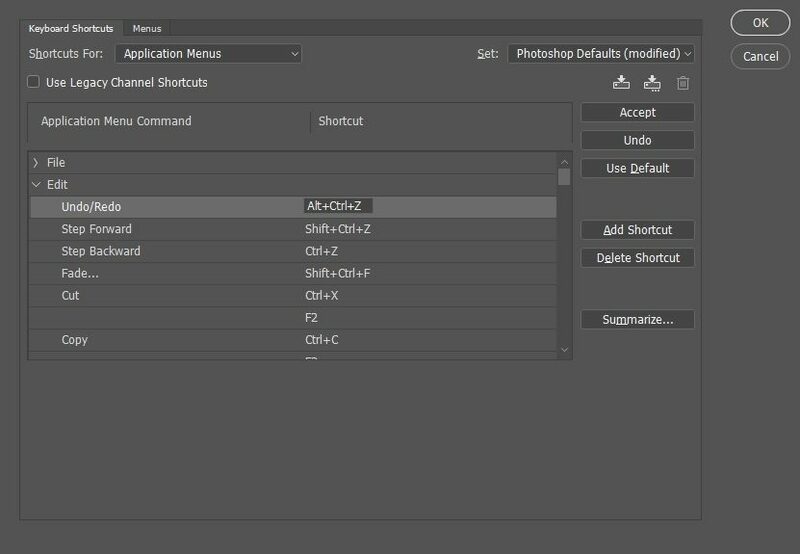 In this tutorial, I will show you how to customize the Photoshop keyboard shortcut so that Ctrl+Z will perform multiple undos. Need more details? Check out the step by step instructions below. Once you have clicked on Window/Workplace/Keyboard Shortcuts & Menus, a new window will open. Click on the Keyboard Shortcuts tab and select “Step Backward”. Change the shortcut to Ctrl+Z by hitting Ctrl+Z on your keyboard. You will receive a warning message that says that the shortcut is already in use. Go ahead and select Accept and Go to Conflict. You will now notice that the shortcut for the Undo/Redo option is now blank. Go ahead and click on the empty shortcut field and hit Alt+Ctrl+Z on your keyboard. Now go ahead and click on Accept and then on OK.